The italian luxury brand Sutor Mantellassi makes bespoke shoes that are legendary in the feet of many Hollywood stars of the past and leading figures of today. Founded 1912, Sutor Mantellassi’s shoes are known for their iconic blue soles, standout designs and skilled handcraft in shoemaking with over a century of expertise. Under the direction of the CEO Anton Magnani the brand was ready for a freshened direction, and the Gaabs took on the challenge. The goal was to reach a new audience and to establish clearer brand message. Working with three content layers, the man from head to toes, we at the Gaabs studio were focusing on providing branded content and using online presence as the main communication platform. Inspired by Fellini, Mollino, Mastroianni and the like, the new communication is a mixture of classic male elegance with surreal quirkiness, nostalgia with a contemporary take. Cinematography is a big part of the new approach from media to setting to aesthetics and format. 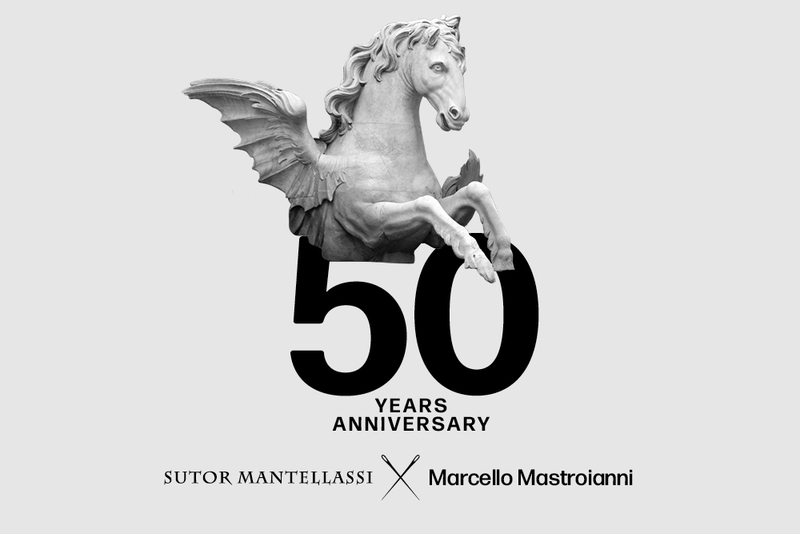 The style legend Marcello Mastroianni was wearing his favourite pair of Sutor Mantellassi shoes as he left his footprints on the Hollywood walk of fame in 1965. The celebration of its 50 year anniversary became the centre of content production. Shoes are treated as sculpture and given a nice twist in the photography developed by Marcus Gaab. Nostalgic touch is given by black & white imagery only products standing out in full color. Cinematic format, bold typography, Fellinian quirky elements and a hint of the 60's by collage creates a fun and flexible playground. The font is team work of the famous Italian typographers Bruno Munari & Aldo Novarese and we were among the very first ones to discover the newly revived font. The first step of relaunch was new online presence for the brand. The new platform focuses on sharing the newly established brand story and features Marcello Mastroianni as the first main theme. The products are honoured in a gallery-like display. The playful story telling is also made visible in the interaction layer while content is placed on logical and clear structure. A short film by Aaron Rose (a remake of Fellini's 8 1/2) serves as the moving cover image.